This is actually bad news for me. In Singapore, many commuters find it daunting to flag a cab during peak hours, rainy days as well as being in obscure locations where cabs simply do not wish to come. Then came a solution. Über, a transport service provider who had the idea of letting the public choose the driver of their choice, by marrying a willing driver to a happy passenger. A win win situation where people can now commute easily and efficiently without being frustrated by cab rejections or boorish driver attitudes. This change has naturally brought good commuting experience for the general public but is definitely bound to receive extreme resistance from the licensed cab drivers. Cab drivers view this new transport service, which also features a private driver option for anyone to join its programme as a part time driver, to be a threat for their livelihood. Maybe from a rather more individualistic perspective, I do see Über as a ‘check’ for arrogant and complacent drivers to reflect why they would have lost. I am not generalising the entire cab population here, but more often than not, have I heard cases of exasperated passengers complain about cabbies for their behaviours and attitudes. Hence, Über provided a solution for most of the people. Now, it is apparent that the company is facing a pullout in Hamburg, Germany, because of the tedious process to obtain registration for an independent rental car enterprise. However, Über is still receiving major support in areas like Berlin and Munich but is likely to pull out from Düsseldorf and Frankfurt. Über provided the ideal solution for the public, be it a passenger or an average joe looking to moonlight as a part time driver. It provided a service through the use of technology at our fingertips. 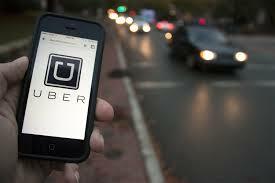 Anyone can easily get a cab at any hour, without much waiting time, through the use of the Über mobile app. I do not wish to see the end of such brilliant service end here in Singapore. The amount of resistance from licensed cab companies here have also place immersive amount of strain on the company’s operations. But I believe those who truly stood for this service should hold their stand and let the company continue its operations. An article from Mashable, reported Facebook releasing their apps with newer functions. This time round, they added a nearby friends function which is similar to WeChat’s. What could have taken Facebook this long to implement this function? In Asia, Facebook penetration is massive and a function like this might serve its purpose but yet attract adverse effects. I have heard of couples banning one another from Facebook. I guess you probably could visualize what the reasons might possibly be. Nonetheless, I think this is still an innovative addition to the repertoire of tools on Facebook, plus it also aids in further enhancing consumer experience. Now, I shall not go into details how the new function would work, but you can read more of the article here to understand the ‘Nearby Friends’ experience. Before there were social media, people scuffle to pen down messages, attempting to capture moments of details on paper and then evolved towards sending text messages and photo images through smartphones. Despite taking social media for granted now, these experiences still impinged upon us as if it happened yesterday. So, when you combine that nostalgia with current social media technology, the formula is suffice to deliver an app so simple, so original yet functional. The new mobile app by Facebook allows us to browse content on Facebook with breeze, filtering the alphabet soup of buttons and controls. Known as Paper, this app will be available for download starting February 3, 2014. Interestingly, this Facebook reader app has such a fluid yet simple layout that lets you share and browse content effortlessly. We could see how the app functions from the video below. The video is almost so placid, so direct, almost like an integration to our daily lives. A strong user interface backed by really solid user experience design, Paper might just set the benchmark for a new category of user oriented app design. Most of you folks out there would have experienced the new updates from Instagram, allowing you to send direct messages and videos to your peers. This has undoubtedly created quite a buzz, as the social sharing app now enhance it’s offerings to a next new level. While the idea isn’t exactly new, it is pretty much a necessity given the competition of apps that is available. With these features embedded into Instagram, it allows the app to have more versatility and hence, clocked more ‘app-time’ from it’s users. These days, with the increasing amounts of apps, we are spoilt for choices and those who are adventurous enough, would explore multiple apps. As much as one could do, each individual have got a limited amount of time on their smartphone each day, and I would indefinitely want one that has as much integrated functions as possible. For picture sharing social app, Instagram direct nails it. 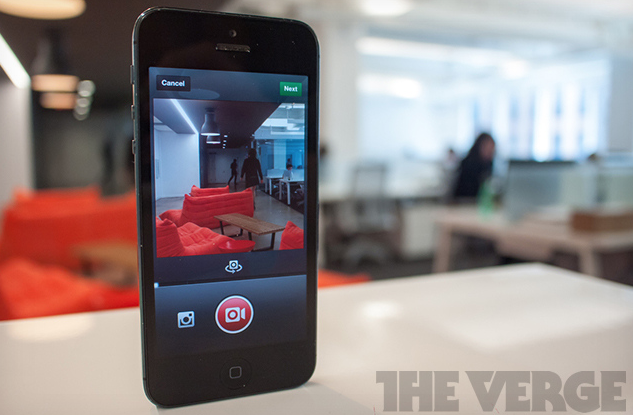 Instagram allows it’s users to record videos while still using the filters to change the color and tones of the video clips. Although this is a pretty great feature to incorporate into their recording feature, it has limited capability. Now, there is a new iOS app from Netomat. Spotlilter, allows us to apply more amazing features. Check out the videos above for some of it’s filming features. 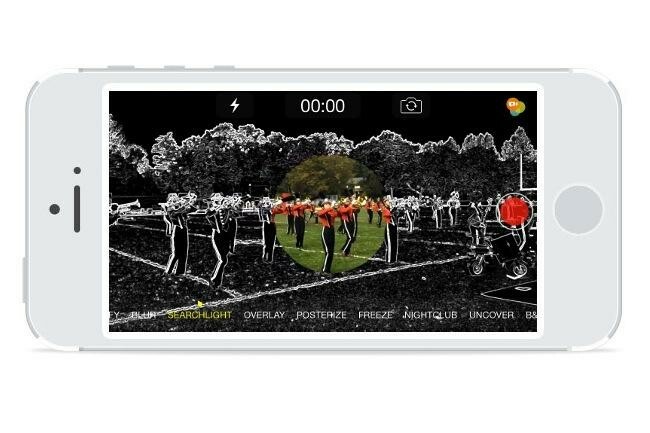 To add variety to your filming experience, they have got cool stuffs like magnification during filming, freezing a portion of the video or even switching from the foreground to the background camera angles. Of course, not forgetting the mandatory overlay and color correction features that most of us would find it to be extremely useful. We can basically execute these functions by simply pinching, tapping, swiping and all the finger functions available on the iOS platform. Once again, we can have more fun filming with iOS devices! I refer to an article on The Verge which reports that Instagram shall be adding more features with chat functions as part of it’s repertoire of services. It was reported by GigaOm, the company responsible for the next major update: private messaging. What we do know is that by the end of the year, there will be a new version of Instagram with one-on-one and group messaging features. It is good to have more chat features on the photo sharing site. However, I still believe the originality of keeping the app as a photo sharing app is still essentially the main USP of Instagram. Having more features is always a great bonus but it is crucial that it does not dilute the app’s core offerings. Chat messaging should remain at it’s minimum. Technology, innovation and creativity are potentially the main ingredients to the solution of our future. With these elements, we are able to provide better solutions for those who are less fortunate. As able people, we do not see the possible difficulties that people on wheelchairs would feel. Unfortunately, to travel around in New York City, it could prove to be a daunting task for wheel chair users. Wheel NY, a new Kickstarter project, aims to bring on a less time consuming experience and easier transport solution for wheel chair users by collating all accessibility information together from various sources. It will help users to plan much easier and earlier in order to forecast possible obstacles that may come. With the maps section, one could not only plan, they can also check to see if there are broken lifts, damaged pathways or cracked sidewalks that would deem unfit for wheelchairs along the way. Now, with the ability to get real-time updates on these accessibility statuses, the disabled would now be able to open up to more places. It opens up many possibilities for the disabled. They can now feel more than just the joy of having a nice movie or a great meal, but also a taste of transport freedom. It is a dream come true. The current Kickstarter project status requires $50,000 to fund the app and web development. Currently running $40,000 short with approximately two weeks more to go, it hopes to have more people contributing as the bulk of these funds would go to a team of 4-5 responsible to bring this idea to live from ideation to design and eventually the development and launch. Definitely a great app with the ability to make a change to the world. It also has one of the key characteristics of a well planned mobile app – Scalability. One of the key considerations was the adaptation of this app onto other cities, helping the rest of world’s disabled people to regain their mobility freedom.